As coaches we get to experience many highlights during a junior golfers career, first par, maybe first birdie and of course first drive that travels over 100 yards. It's amazing to see junior athletes smile when they accomplish their goals. In today’s society it takes a lot more to be a high performing athlete then ever before. There has been more research done on sports specific fitness training over the last few years and how it has helped athletes reach that next level. It's with great honour I have the opportunity to wish my coaching partner and friend a huge shout out for his recent Golf Association of Ontario Junior Golf Development Center Coach of the Year!! Even though our cold Canadian climate does not allow us to play golf through the winter months, that does not mean our golf clubs should go away and begin to gather dust in the garage or closet. We at Geared to Golf believe that winter months can be an extremely important time for a motivated golfer’s development. Ryan and I spent Saturday and Sunday watching our Gear 4 team members play in their Durham Junior Golf Tour qualifier at Black Diamond Golf Club in Pontypool. We couldn’t have been more proud of how our Geared Team members competed in what were some very challenging conditions, and under some intense pressure situations. This past weekend Ryan and I volunteered at the one hundred and ten team OMHA Pizza Pizza Hockey festival at Iroquois Park. In conjunction with the GAO and the Mr. Knickers - Golf in Schools Program, we had a golf booth set up for kids to try golf utilizing the ultra-kid friendly Snag Golf equipment. Unfortunately over the last few years golf has shown a trend of declining interest. This may be because it is typically a very expensive sport to play, or due to the time constraints as a round of golf can often take over 4 hours to play. Whatever the reason may be, it is not something that we in the Geared to Golf family are willing to accept. Getting to the rink extra early to ensure I did not miss a quick pickup ball hockey game or chance to pick that ideal spot in the dressing room where you could see the most friends. When Ryan and I started the process of creating Geared to Golf, the overall goal was to grow junior golf in the Durham Region. We wanted to create a program that had the ability to expose kids to this awesome game. Since those initial meetings in early January, we could not be happier with what we have been able to produce for structuring that caters to every age and ability level in junior golf. We would like to share some of our specific goals for Geared to Golf in this Coach’s Corner edition. 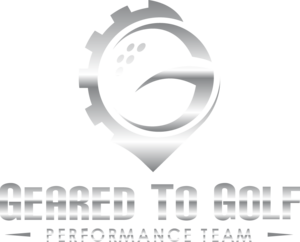 My name is Jacob Patte, and as the head coach and partner, I could not be happier to introduce you to the Geared to Golf Performance Center! Beginning the path to coaching is bond between the coach and athlete. A relationship that determines the players needs to succeed.